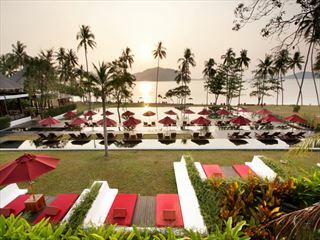 Experience the wonder of Elephant Hills, and enjoy stays on two different Thai beaches. 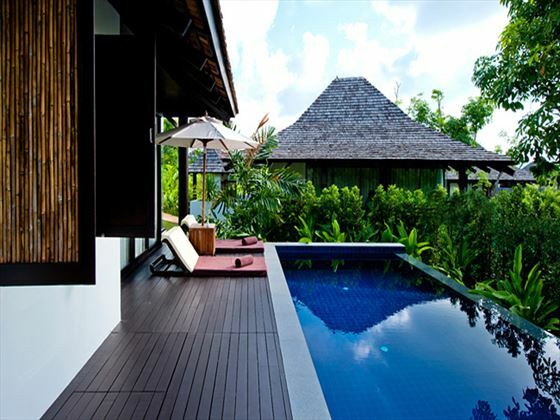 Begin in the secluded Vijitt Resort, located in the south of Phuket, where you can relax in beautiful surroundings and enjoy a natural rubber tapping experience as well as a treatment at the tranquil Spa. 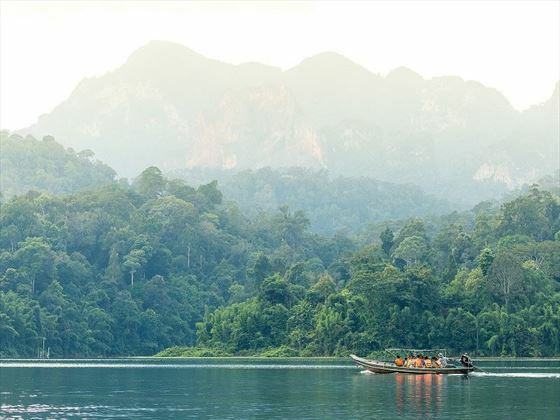 You’ll then take a transfer into the Khao Sok National Park, the location of the award-winning Elephant Hills. Here you will interact with adorable elephants, as well as taking a canoe trip and a rainforest walk. You’ll be staying in a tent in the middle of the rainforest – but don’t worry, it's a luxury safari experience, there’s a double bed and en suite facilities which makes a great experience. 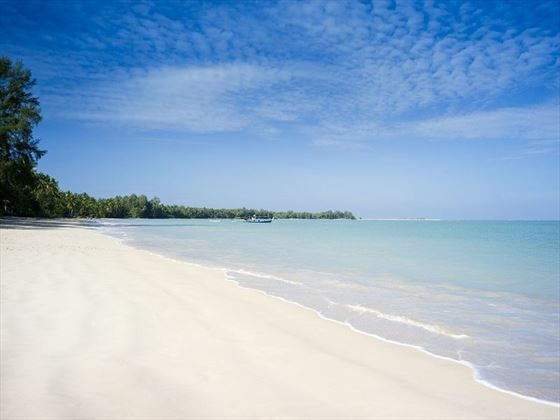 Your final destination will be the beautiful beach resort of Khao Lak. Here you can lie back and relax, or take part in some of the great activities in and around the hotel. This itinerary is very much suited toward honeymooners and couples looking for a romantic break tied in with some adventure. Fly to Phuket and transfer to the lovely Vijitt Resort in the secluded south of the island. 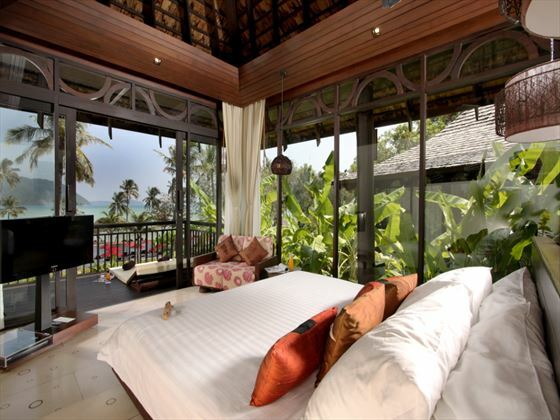 This is a villa-only resort set in the beautiful Chalong Bay, where you will find peace and tranquillity. 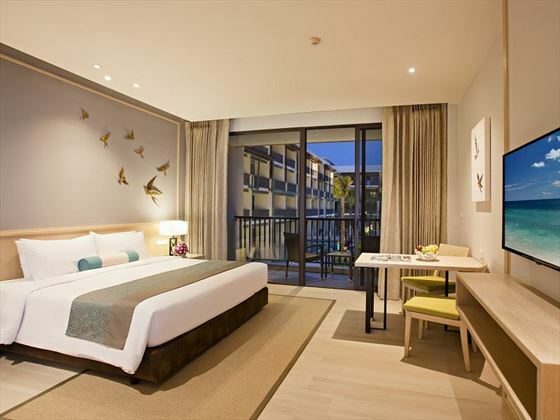 When you’re ready to explore, there is a shuttle bus that will take you to Rawai, Ni Harn Beach and the Old Town, where you find great restaurants, bars and shops. 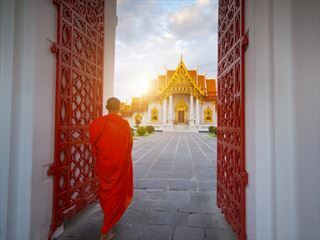 We've included a spa treatment in this package to ensure that you experience the well known traditional Thai massage during your stay, you'll also have the chance to get involved in a natural rubber tapping experience. 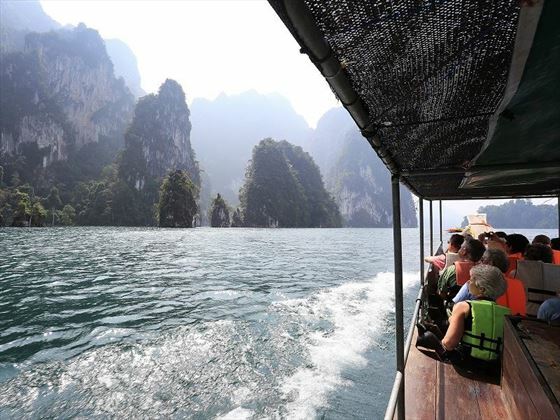 This morning you will be picked up to be taken into the heart of the Khao Sok National Park, where you will find Elephant Hills. Here you will be spending the next two nights in a luxury tent, with double bed and en suite facilities. In the afternoon you'll enjoy a canoe safari down the Sok river to see the natural wildlife and local river village life. 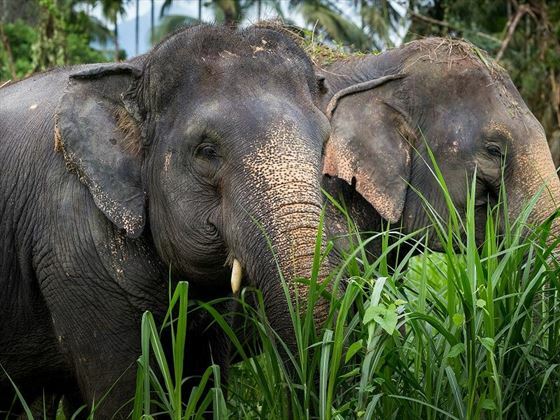 You'll also get a chance to interact with the endearing resident elephants, learn about the conservation of the elephants get a chance to help feed and bathe them. 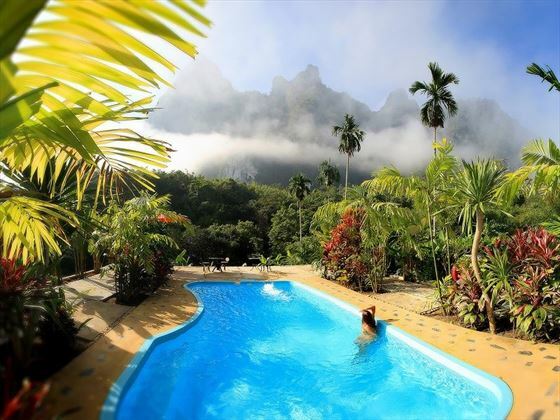 Afterwards return to camp where you can take a dip in pool or watch a cookery demonstration. Today you will visit a local market and a take a longtail boat cruise on Cheow Larn Lake. After lunch there is a gentle jungle trek through the rainforest, before returning to the Elephant camp for the evening. 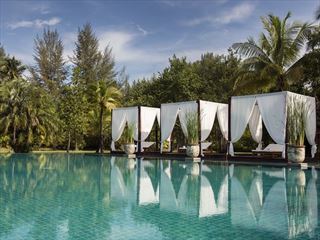 After time to explore the wonders of the forest, you will be transferred to your next destination – the lovely Khao Lak. 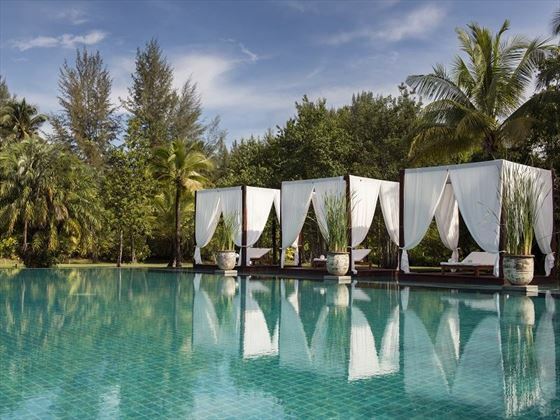 You’ll be spending five nights at the beautiful Sarojin Resort. 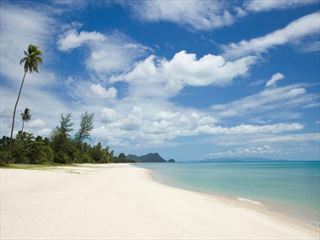 Situated on a seven mile white sand beach sheltered by the Pakarang Cape on Thailand's southwest coastline. The Similan Islands' dive sanctuaries, five stunning primary rain forested national parks and Phang Nga Bay renowned for its dramatic limestone islands and captivating sea cave canoe journeys, are all easily accessible. You'll enjoy a pampering spa treatment at the Pathways Spa and a private candlelit dinner on the beach. 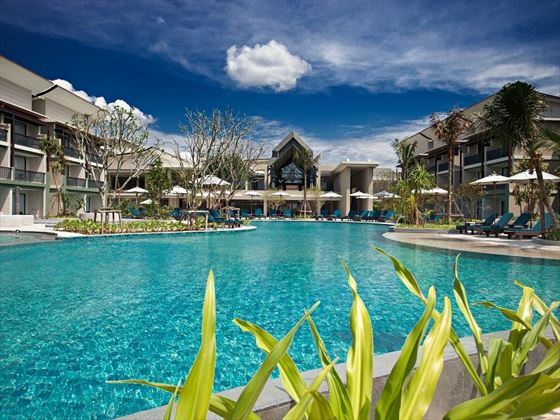 It’s just an hour transfer to Phuket airport, and from there either fly home or onto a another destination in Thailand, the Far East or perhaps even Dubai? 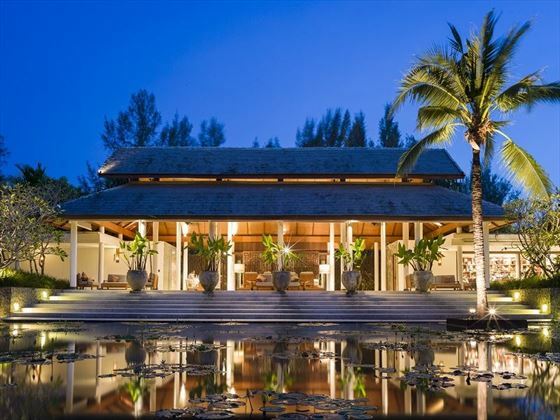 Activities as listed including natural rubber tapping and a spa treatment at The Vijitt, elephant encounters, canoe safari and jungle trekkiing at Elephant Hills and a spa treatment and private candlelit dinner on the beach at The Sarojin resort.